Miraggio Subic Yacht - Blinds Manila, Makati, Philippines Call Us at 403-3262! To see more carpet projects visit our Carpet Blog Page. We have a lot of carpet projects over the years but this project is a bit special since it involves one of the biggest yacht in the country. It also tested our skills in terms of carpet installation in tight corners and unique floor layout. The carpet installed in this project is cut-pile carpet roll with an off-white color. This yacht is fully carpeted and has very luxurious interior design. 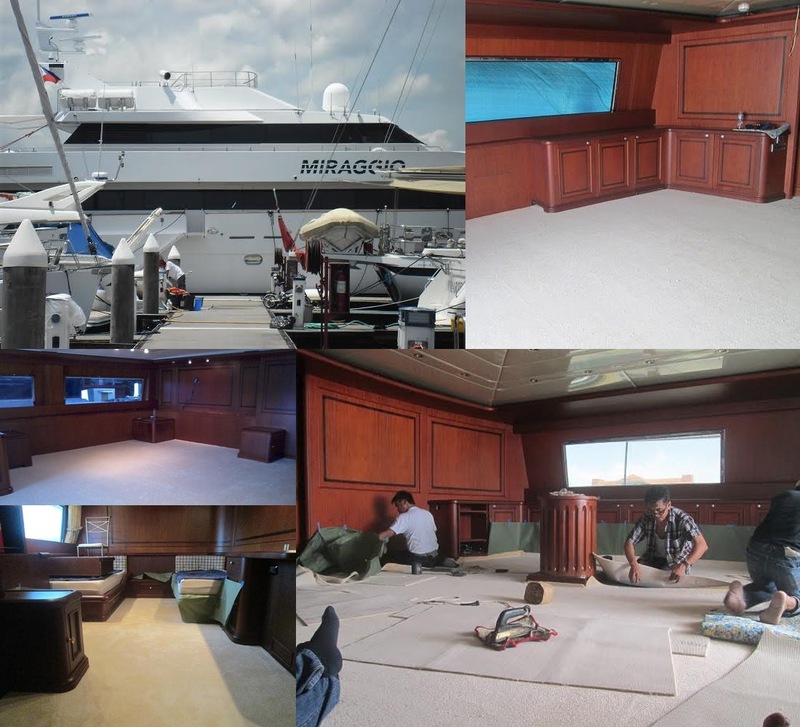 After this project, a lot of yacht owner also came to us for more carpet project works as they already saw the workmanship and quality of our carpets.